In November, a group of Upper School students participated in a Civil Rights focused trip offered through Friends Seminary’s Global Education Program. The tour concentrated on four primary cities seminal to the Civil Rights Movement: Atlanta, Birmingham, Montgomery and Selma. The experience helped foster a deeper awareness of the relationship between religion and social movements, as students learned about the historical significance of black churches as social, political and financial centers in black communities throughout the South. As the group traveled on a coach bus from city to city, they traced the local and cross-city texture of what became a national movement through networks, organizations, and voluntary associations like the Southern Christian Leadership Conference (SCLC), the National Association for the Advancement of Colored People (NAACP), and the Student Nonviolent Coordinating Committee (SNCC). Students listened to personal narratives from Freedom Riders and first-hand stories of activists on the frontline of marches and protests. With this, they were able to develop an appreciation for the history and creativity of nonviolent direct action –– of boycotts that remove bodies and of marches that install them. 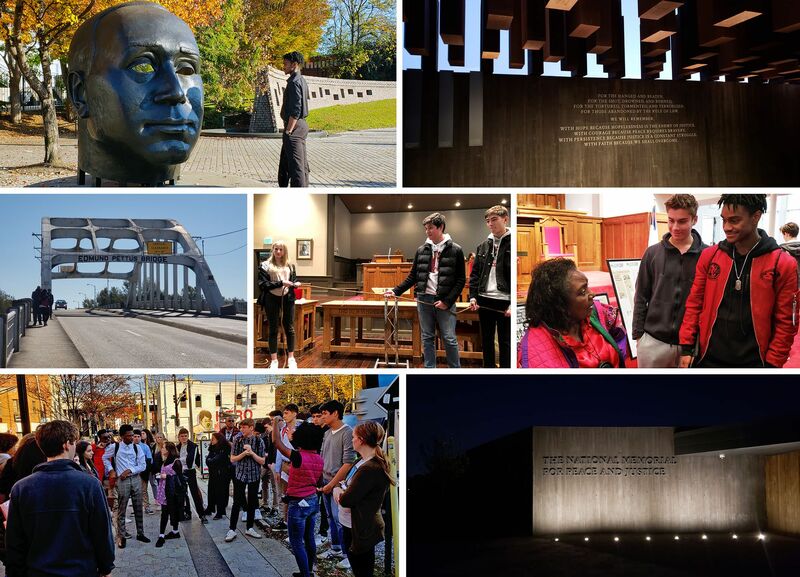 By visiting public memorials like Kelly Ingram Park and the National Memorial for Peace and Justice, churches like 16th Street Baptist, and museums including Legacy Museum, students gained an appreciation for the ways in which the past stretches into the present. Students took time to reflect on the expedition upon their return and discussed how we remember these critical moments from our collective past, how we reckon with the history of race and the legacy of white supremacism, and how this weaves itself into how we will live today.